Pentabus Theatre is thrilled be bringing it’s highly acclaimed play, Here I Belong by Matt Hartley, to the Midlands Arts Centre on Wednesday 28 March and Thursday 29 March at 7.30pm. Here I Belong celebrates village life, companionship and community while highlighting the challenges faced by people in rural areas. Over six decades from 1953 to 2016 Elsie’s life, relationships and the right to grow old in her own home will be played out on stage. Performed in the intimate setting of a village hall, the action happens all around you. 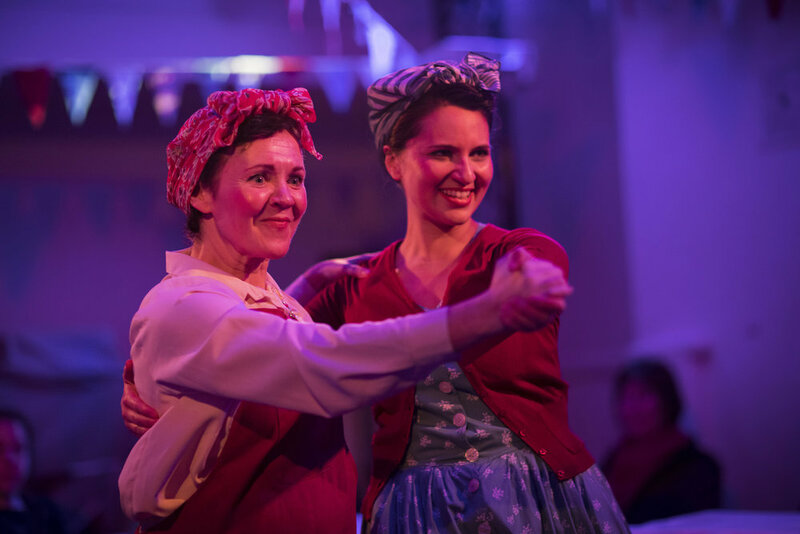 As the play moves through time the décor and actors transform, they will take you on a funny and moving journey through sixty years of village life. Bring your friends, bring your family or just bring yourself – there will be a birthday and there will be cake! Elsie is played by Melanie McHugh whose recent theatre work includes The Country Girls at the Minerva Theatre, Chichester.